Peggy Hsieh is Senior Vice President of Finance for Entertainment Studios. 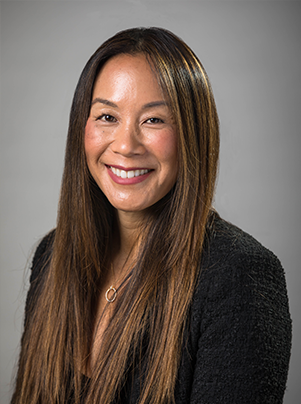 Hsieh oversees accounting and finance for Byron Allen’s theatrical and digital movie distribution divisions — Entertainment Studios Motion Pictures and Freestyle Digital Media. She came directly to ES after 11 years at Wasserman Media Group, where she was Senior Vice President of Accounting. Hsieh started her career as an auditor for Ernst & Young, LLP. She then served as a portfolio accountant at Bel Air Investment Advisors before moving on to Platinum Equity, where she worked internationally with newly acquired portfolio companies. Hsieh is a certified public accountant and holds a B.S. in Accounting from the University of Southern California.